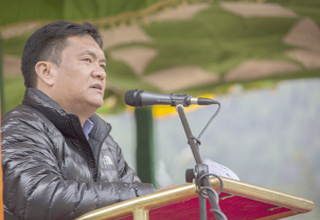 DIRANG, May 5: The revenue generated by the state government in the last few years has been outstanding and the increment trajectory every financial year has been exponential, informed Chief Minister Pema Khandu here on Saturday. The state government’s commitment to plug revenue loopholes and streamline financial transactions has resulted in increased revenue generation of Rs 1253 crore last financial year as compared to Rs 900 crore in the previous year, the chief minister said. “We generated Rs 300 crore more than the previous year immediately after we came to power. This financial year, we generated Rs 1600 crore and in the next (2018-19) we aim to cross Rs 2000 crore. Such a growth trajectory has never been witnessed in the state since its inception,” he said during a developmental meeting here in West Kameng district. Pema assured that the money is being judiciously and equally utilized for developmental projects in every assembly constituency and the districts. He said sufficient funds under SIDF are being distributed to each assembly constituency – irrespective of party affiliation of the incumbent MLA – first to complete all unfinished projects and then take up new projects. The chief minister said the government is committed to decentralize the administration and therefore set up divisional commissioner offices for Western and Eastern zones besides setting up zonal offices of all line departments. He announced establishment of a PWD chief engineer’s office at Tawang. He said besides decentralization of governance, formulation of schemes and projects are also being decentralized. Henceforth, all schemes and projects would be decided at the district level through consultations and forwarded to the state government, he informed. 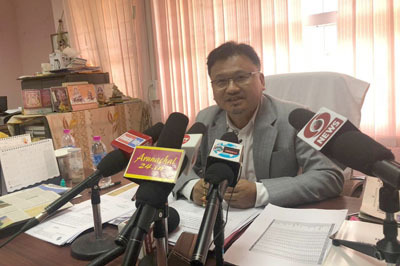 In order to bring in fair and impartial recruitment system, Pema informed that the state government is processing to constitute a Staff Selection Board that will be mandated to conduct recruitment of all group C posts. With the APPSC already in place, the newly created board will plug all practices of illegal or ‘back door’ appointments, he affirmed. 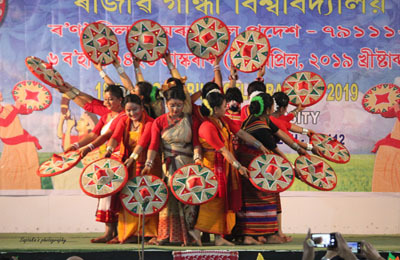 He appealed to the people to avail the benefits of flagship programmes like the Swavalamban Yojana. Expressing concern over lesser number of beneficiaries from the area, he exhorted government officials to spread awareness amongst the people on all such schemes. The chief minister welcomed the proposal to shift the old additional deputy commissioner office to a new location at Chuk Valley and called on the locals to donate land for the purpose. He assured funds for construction of a mini-secretariat at the new location and also announced a fire tender establishment at Dirang. Union Minister of State for Home Affairs Kiren Rijiju, who also joined the programme, announced Rs 75 crore for construction of a double lane road from the 9 Mile diversion-point to Nafra besides establishment of an ITBP Sector HQ in Sangti. He also announced Rs 2 crore for development of Thembang village as a smart village. Rijiu emphasized on proper coordination between the state and the centre for developmental projects to accelerate. Earlier, the chief minister dedicated the Zhangdongrong Mini Hydel project (2×500 KW) to the people. The mini-hydel project constructed by the State Hydro Power Development department will supply power to about 19 villages in the area. Parliamentary Secretary (Hydro Power Development) Phosum Khimhun assured to provide a transformer. Meanwhile, Rijiju laid the foundation stone for the Tchang Ringbu RCC bridge (Built at a cost of Rs 18 crore) in presence of the chief minister and parliamentary secretaries Phosum Khimhun, Kumsi Sidisow and Phurpa Tsering.